From the souqs of Dubai to the walkways of France, Estevia Parfum is a frontrunner in the fragrance industry, offering a variety of scents to suit and celebrate the individual’s unique personality with delicate and fresh notes that spark the senses. Acknowledging that scent is a time capsule, one that invigorates the strongest of senses, Estevia Parfum sought to create a product that would offer a luxury fragrance experience without a hefty price tag. 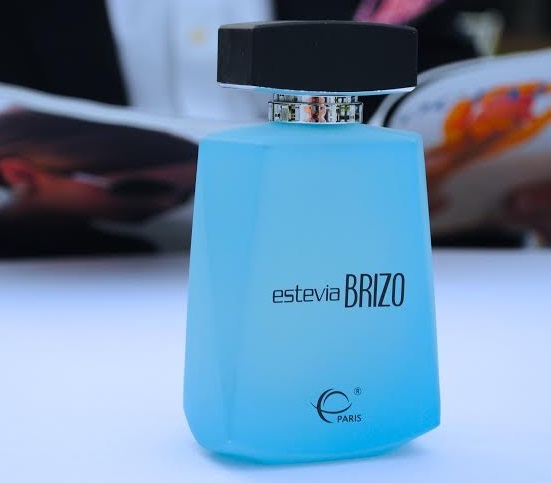 The innovators behind the brand brought with them to Estevia a keen eye for bottle design, and a sense for what is marketable in the fragrance and beauty industries. 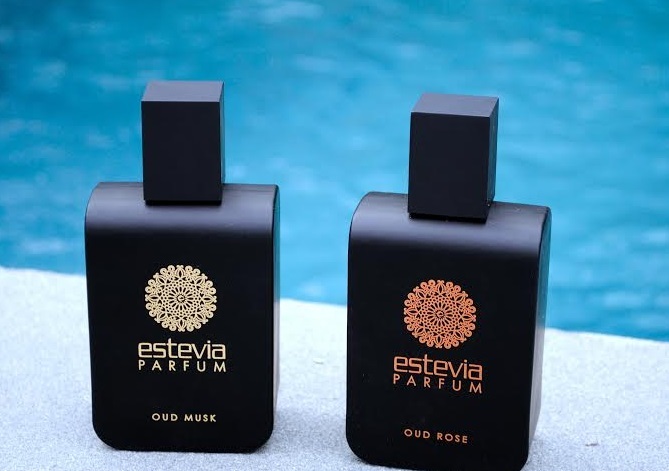 Estevia Parfum came to fruition from Al Wara Perfumes, a company renowned for its innovative bottle designs, curated previously for other fragrance companies. After gaining vast experience curating products for other distributors, the company struck gold: They could use the innovative techniques and design savvy they had previously utilized with other companies, while creating a product that was their own, and offering at a price point every man and woman could desire. At the helm of the successful fragrance company is Mushmoom Khan. Born to a family of industrious businessmen, Khan was surrounded by successful entrepreneurs from a young age. Inevitably, Mushmoom was thrust into entrepreneurial endeavors by becoming intimately involved with company development and decision making with her father’s businesses. Passionate about medicine, however, Khan set her sights on a medical degree, and in 2008 took a step back from business to attend medical school in Dubai. While medicine and the beauty industry are seemingly unrelated, Khan garnered a vast amount of experience with people, and learned to quickly assess their needs and wants. This quickly translated into business savvy when an opportunity arose to take the reins for Estevia Parfum in the North American market. At Estevia we strive to bring forth quality and create every product and fragrance with detail. I work closely in all aspects of design and fragrance development making sure the end product is in line with my vision. What makes us the best? Well we are bringing something new to the market which is “affordable luxury” in terms of fragrance. Not many fragrance houses are able to do that. Having everything under one roof in Dubai we are able to maintain our prices and quality. We stay up to date with the industry and the consumers. We listen to feedback and work towards it. We are launching Oud this month which is relatively new to the market especially in terms of affordability. By providing what the consumer wants and needs we will be able to stay the best. Personal: Personal aspirations are to get into a residency program and specialize in the medical industry and contribute to the lack of primary care professionals. Business: In terms of business I would like to make our products widely available in retail stores, as we are only online right now. Growth. I love hearing stories about how companies have grown from a small office or small kiosk into something bigger. It’s inspiring. Work towards building a brand and following your vision. Money will come in time. My parents. They never fail to inspire me. My favorite product would be Her Excellency White because it takes me back to Dubai and reminds me of my mother. For fall I can’t wait to use and share Oud Rose with everyone. My passions are medicine and business both. Medicine is my own and I think the business bug comes from my dad. When I’m not studying or working I like unwinding with a good read and music.